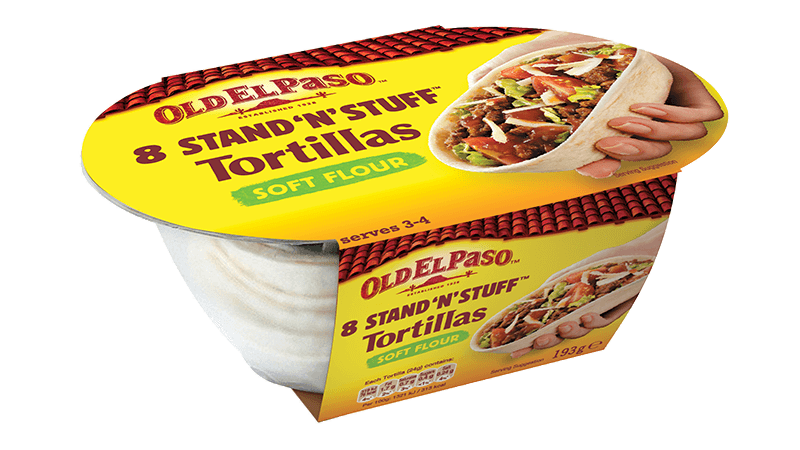 These Old El Paso™ Stand 'N Stuff™ soft flour tortillas make dinner even more fun to make and eat! 1. Preheat the oven to 200ºC (180ºC for fan assisted ovens), gas mark 6. 2. Heat the oil in a large non-stick frying pan over a medium-high heat. Add the chicken fillets and cook for 15 minutes, turning occasionally, until cooked through. Remove and drain on kitchen paper. Cool for 5 minutes then tear or cut into small pieces. 3. Place the tacos on a baking sheet. 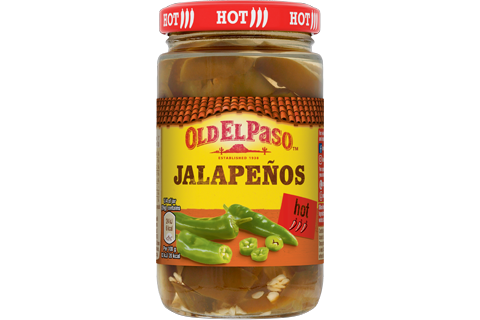 Mix the chicken in a large bowl with the enchilada sauce and sliced jalapeños. 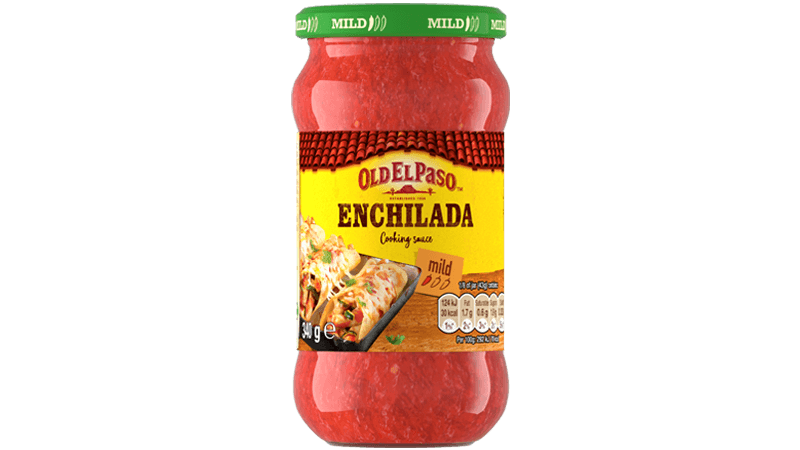 Divide the mixture between the tacos and scatter over the grated cheese. 4. Bake for 8-10 minutes until the cheese has melted and the chicken filling is piping hot. 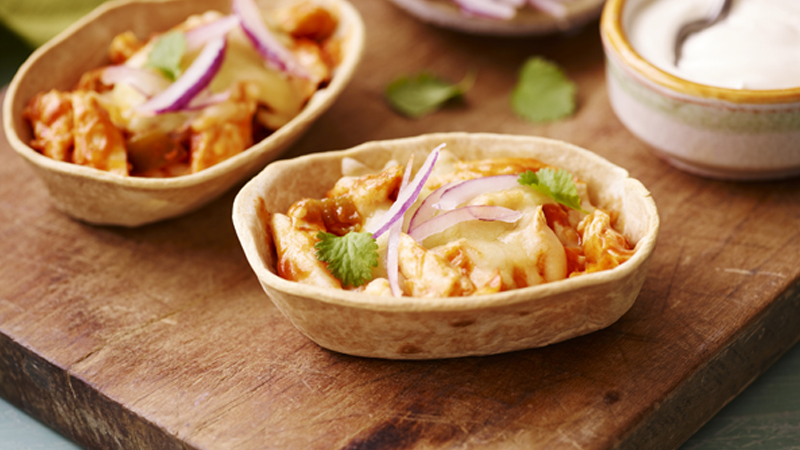 Serve with sliced red onion, chopped coriander, salsa and soured cream.